Thanks for waiting! Large Scale Update arrived! 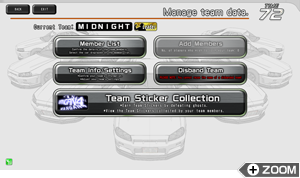 Wangan Midnight Maximum Tune4 Update ASIA1　08.05.2013 Wednesday. C1 battle area revealed! Yaesu Line added. The area that was under construction in C1 is now open to traffic. It is a completely new area that didn’t exist in the previous Wangan Maxi series. The most basic and popular C1 has evolved even further. 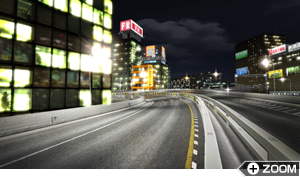 “Narrow one-lane roads”, “tight corners” and “an intense uptown” combine to heat up VS player battles with an outstanding “technical area”. 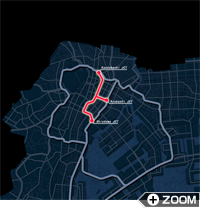 It can be reached through “Kandabashi JCT”, “Kyobashi JCT” or “Shiodome JCT”, so your choice of route is a large point in determining victory. 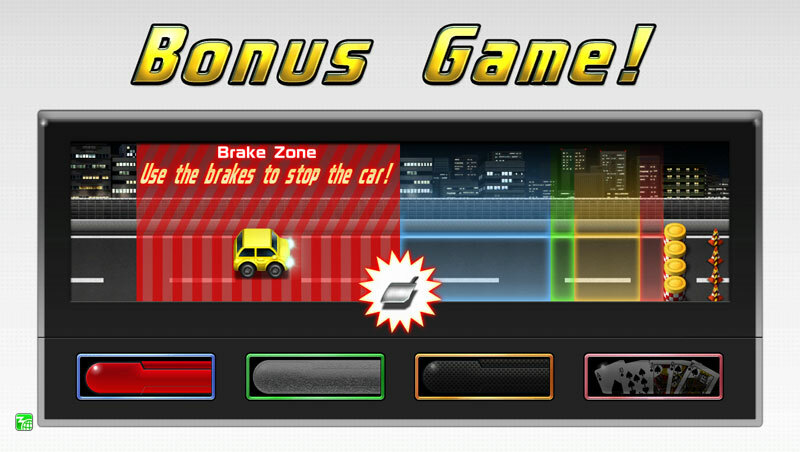 Leave your rivals in the dust with a new machine! New car model added! 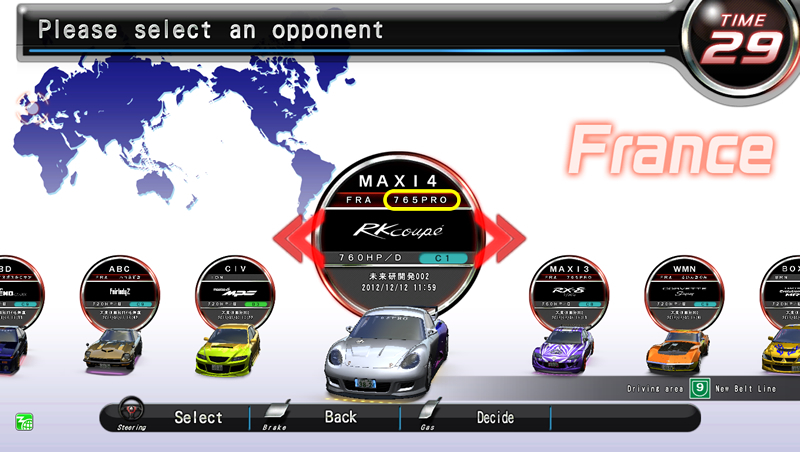 The new model “RK Coupe” from RUF, making its first appearance in Wangan Midnight Maximum Tune 4, will be added! 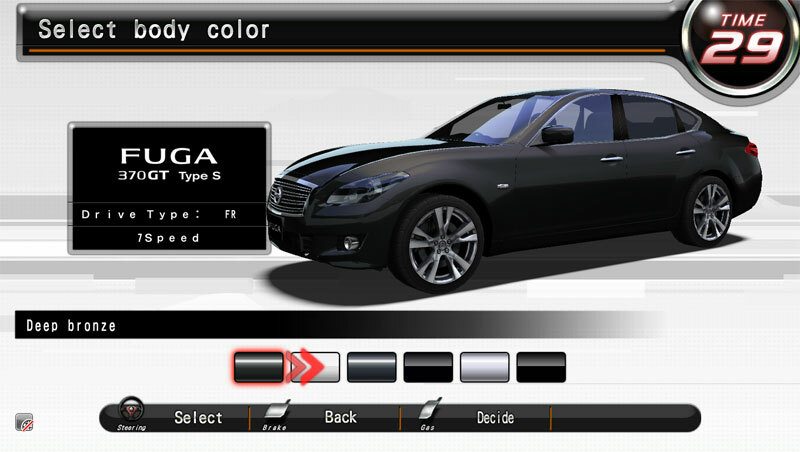 * Two-tones allow you to change the color of the triangular part from the top of the rear fenders to the tail lights. The RUF “RK Coupe” joins the fray. A high-powered horizontally opposed engine is mounted on the mid ship of its elegant aero body. Not only can it reach speeds of over 300km/h, this machine is part of the peak of RUF vehicles, displaying almost outer-dimensional cornering with its bodywork that is aimed at concentrating its mass. 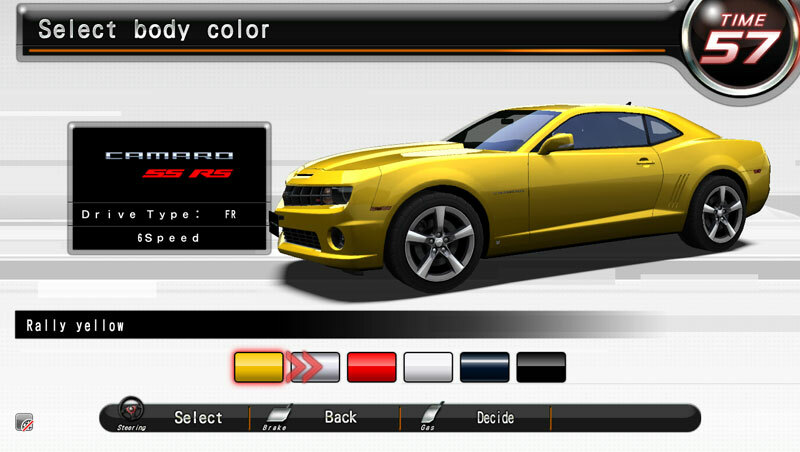 The official release of the Camaro that was very popular in the Early Reservation Campaign! An American sports coupe equipped with a 6.2 liter V8 engine. It has a strong impact from combining 20-inch wheels with a body designed to give a sense of mass. Because the extra engine power easily accelerates the heavy car, you can expect a higher maximum speed and a feeling of stability. 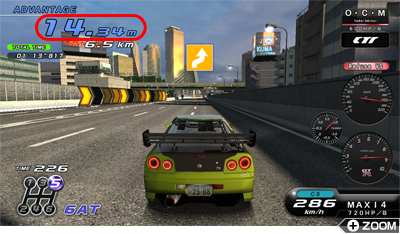 Also, high performance parts are used for the suspension and brakes, so its cornering ability cannot be underestimated. 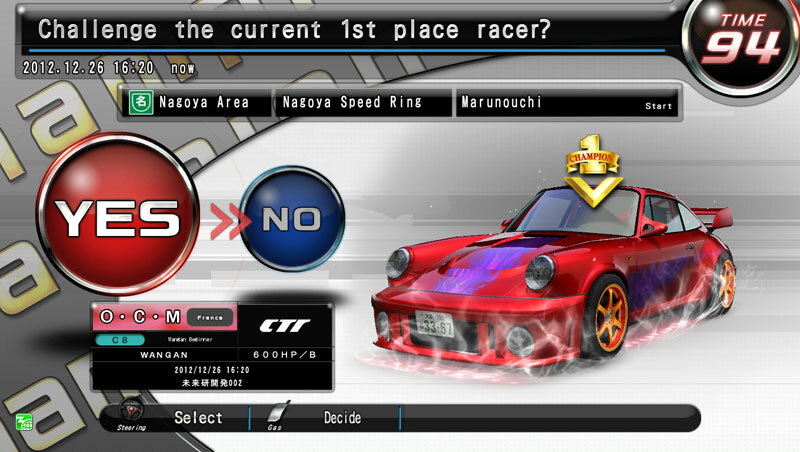 Here comes a high-exhaust American sports car! 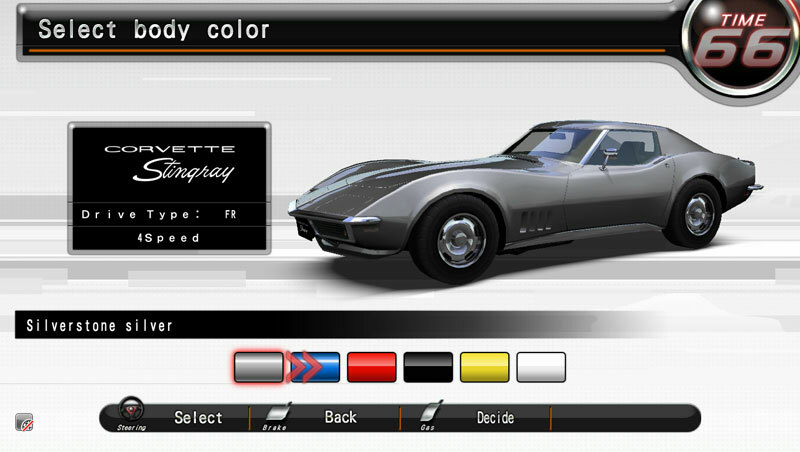 A third generation Corvette. This sports car has an ideal long-nose short-deck style with its low body and distinctive extended fenders. The high power high exhaust V8 engine sings with a unique voice. If you can drive it masterfully it will perform well. This is the car you think of when you think of a drift machine! It’s here! 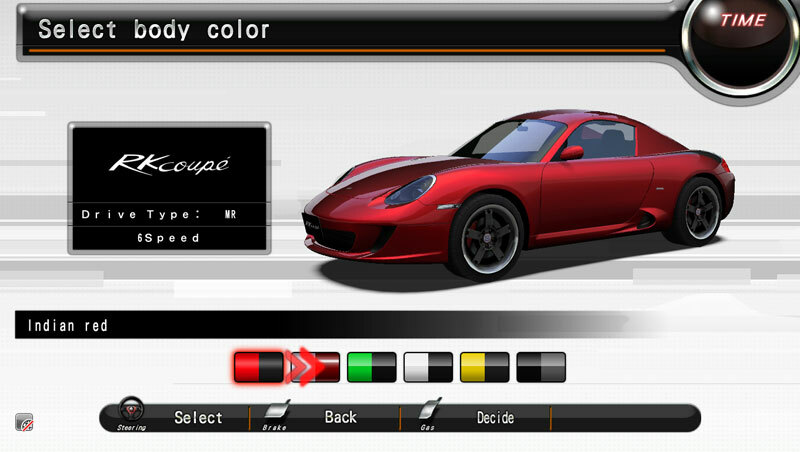 A high power compact sports car with an FR layout, equipped with a 1.6 liter engine on a light body. 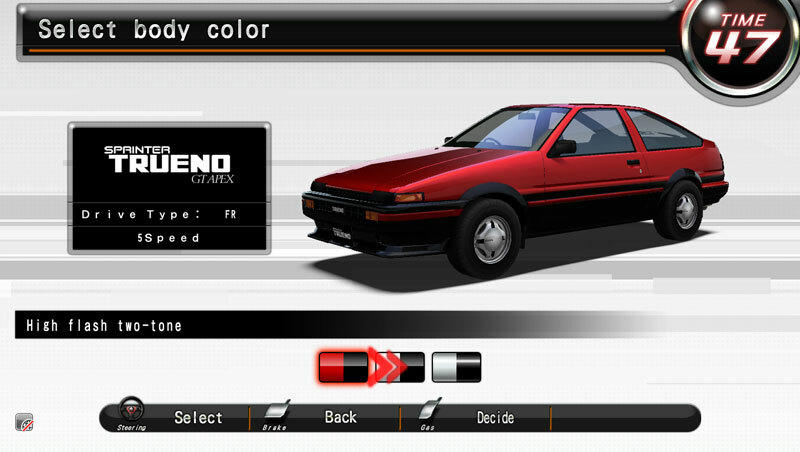 Responsive control and easy tuning keeps this car popular even 30 years after it was released. Its true power is released in technical areas with series of corners. This large sedan has a presence that will dominate anyone who sees it. The long-nose short-deck style that brings to attention the FR layout is expressed with beautiful curving lines. Fully equipped to run with a powerful 3.7 liter V6 engine, sports suspension in the undercarriage, and aluminum caliper piston brakes, it easily surpasses the average sports car in performance. Form a team with your friends! 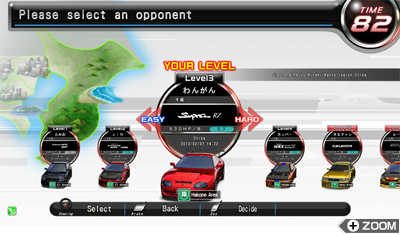 “Teams,” a new element to deepen your connection with your usual Wangan Maxi companions is finally about to begin! 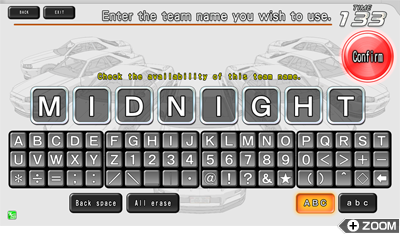 Those who applied to the “Team Name Campaign” should check the “Wangan Terminal” to find out if they got the team name they applied for. If you were selected, your team has been started up. 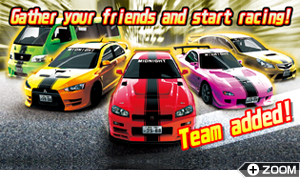 Invite your friends to join your team! 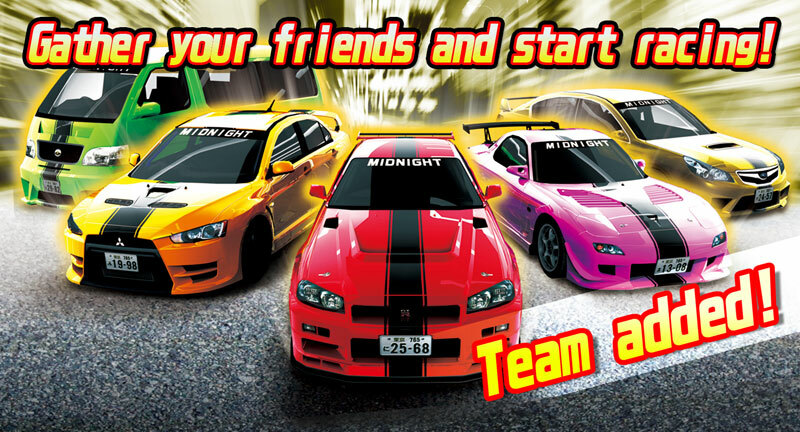 Gather your friends and start racing! 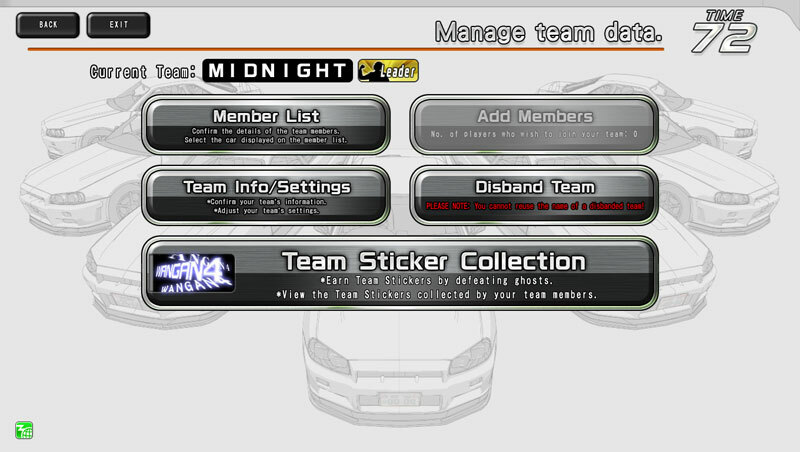 If you form a team, you can put matching team stickers in your windows. You can give your team an original name, and no other team can use the same name. 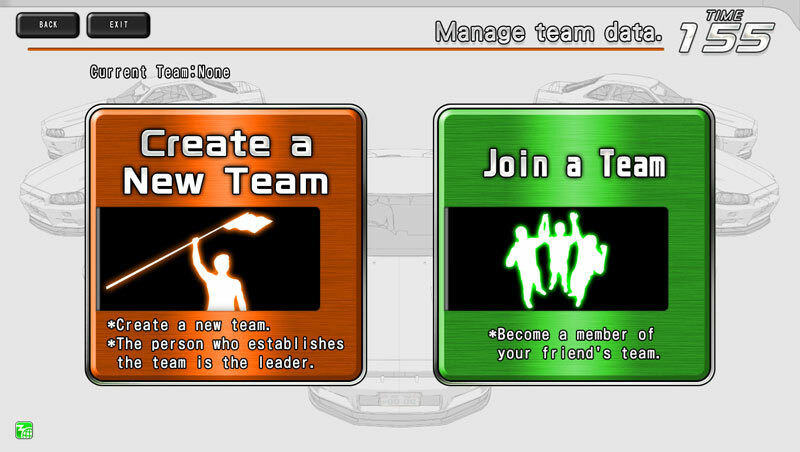 Launch your own team with a one-of-a-kind team name. 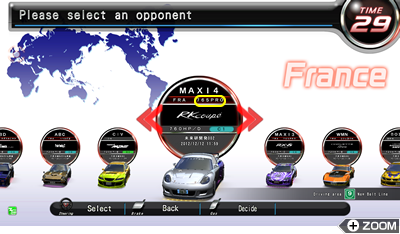 You can start a new team using the “Wangan Terminal”. 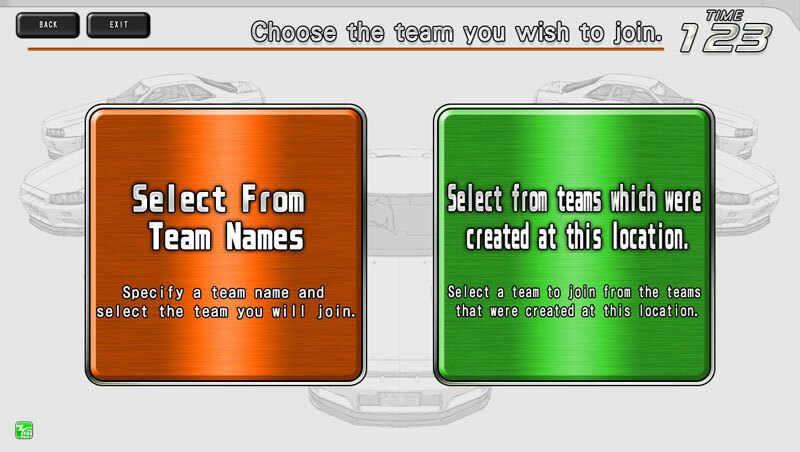 After forming the team, you cannot change the team name, so decide on a name ahead of time! 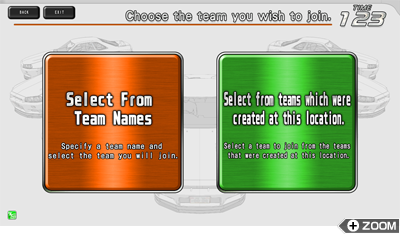 To start a new team, select "Create a New Team" and enter any team name you like. *You cannot use a team name that another team is using. *There are some team names that cannot be used. You can apply to join a team that already exists. In that case, choose “Join a Team” and search for the team you want to join. 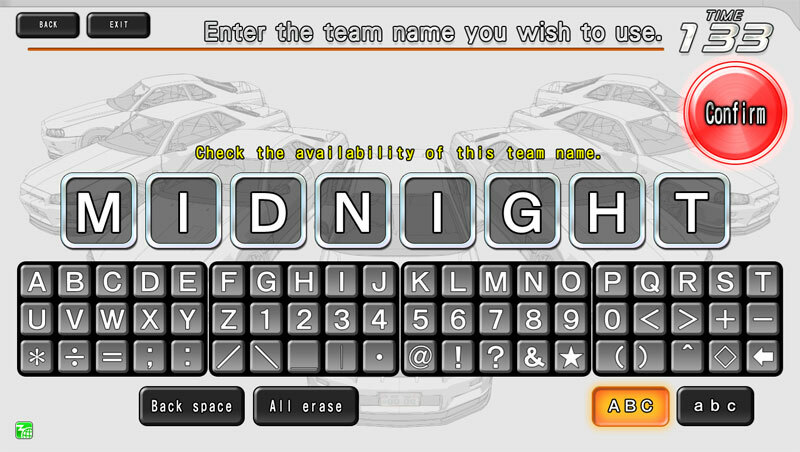 You search for the team you want to join by team name, so make a note of the exact name of the team you want to join! *Be careful not to mix up lower case and upper case letters. 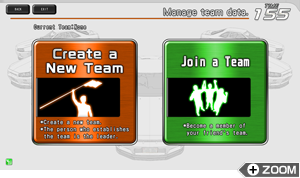 To join an existing team, select “Join a Team” and search for the team you want to join. There are two ways to choose from the list of teams. After applying, if the leader or a member of the team you applied to approves, you will officially join the team. For details, please see “Teams” on the Game Description page. 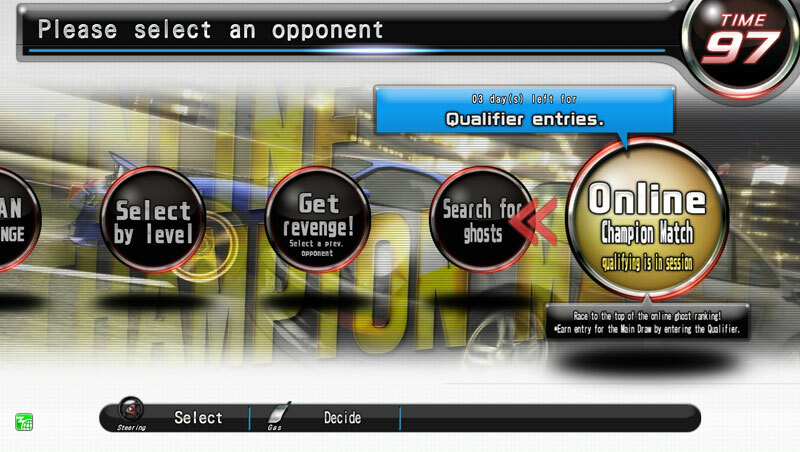 In the familiar Online Ghost Versus Battle Mode, if you defeat a ghost that belongs to a team, you can receive that team’s sticker. 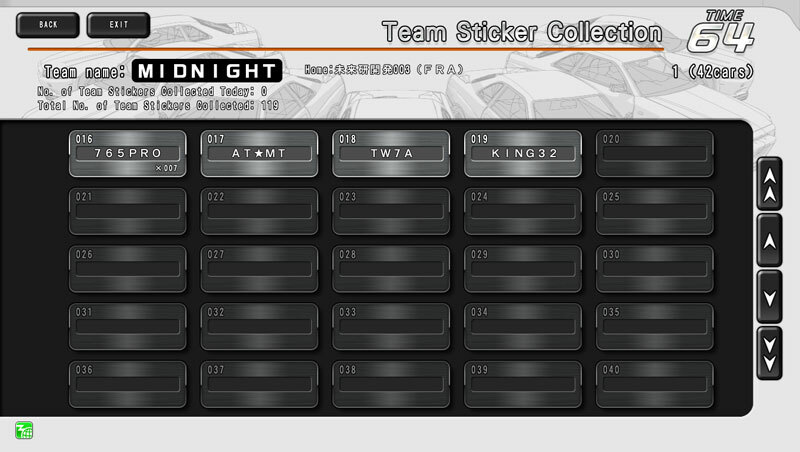 Together with your team mates, you can collect the team stickers. Teams have started getting serious! 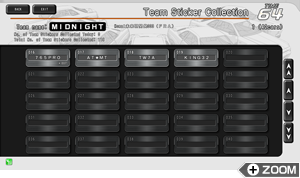 You can get team stickers in any mode of Online Ghost Versus Battle without selecting a special mode. When selecting a ghost to battle, ghosts that belong to teams will have their team names displayed, so please check your opponent’s team name. If you win the Ghost Versus Battle, you will get a team sticker. 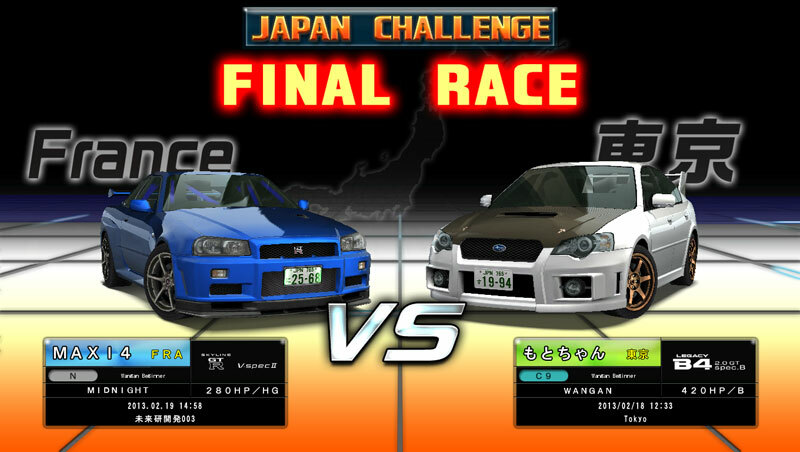 Even if you lose the race, you will not lose your team sticker or any of your collection, so don’t worry and keep playing. 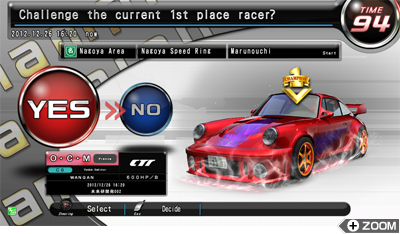 You can see your collection from “Teams” on the Wangan Terminal. 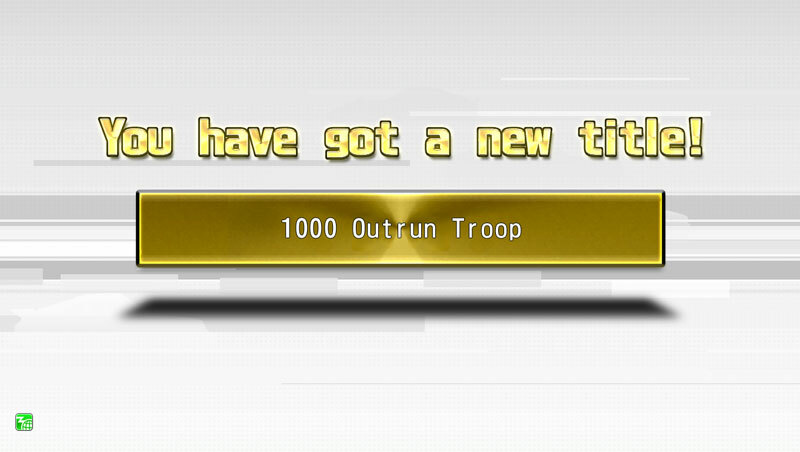 When the total number of stickers collected by the team reaches a nice round number, all the team members can receive a special title. Warning: You cannot collect the sticker of your own team. 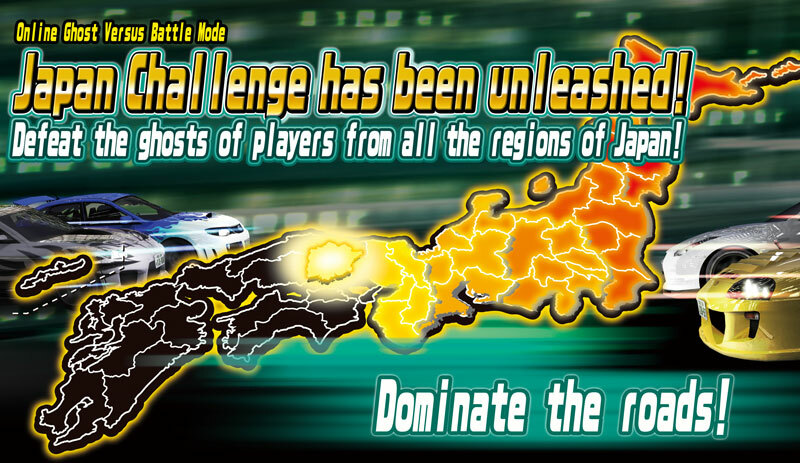 "Japan Challenge" has been unleashed! The breakthrough "Online Ghost Versus Battle Mode" in which you can battle the ghosts of players from throughout Japan! 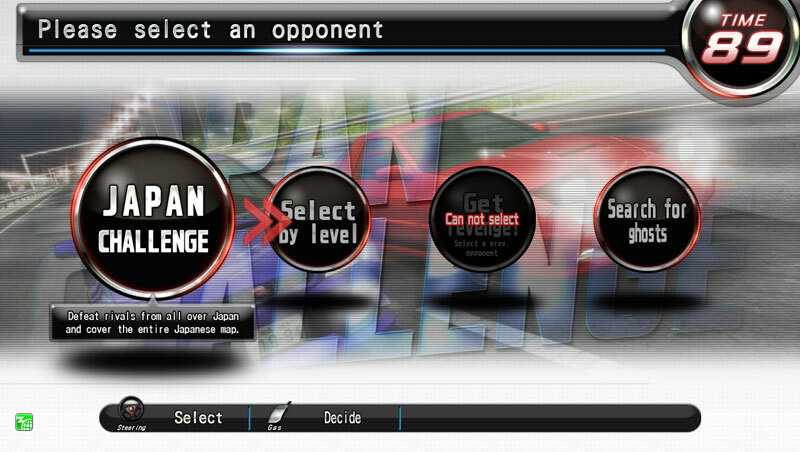 Choose and defeat your opponents to conquer Japan! Paint all the districts!! 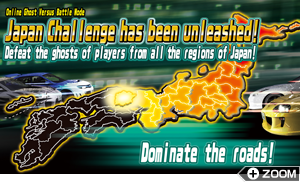 The “Japan Challenge” that had been “in preparation” on the far left of the Online Ghost Battle Mode Select Menu is finally open! 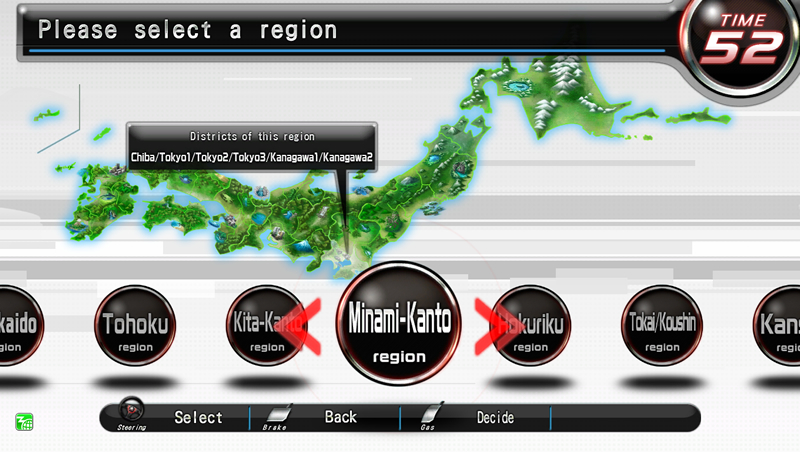 “Japan Challenge” is a game where you fill in a map of Japan as you conquer each region by defeating an opponent appropriate to your level chosen from randomly selected ghosts from each district of Japan. 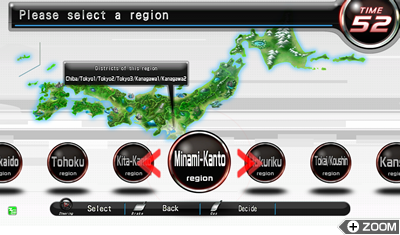 ・Challenge each district in regions such as "Hokkaido region"and "Minami-Kanto region"
・When you have conquered every district in one region you will be able to proceed to the next region. 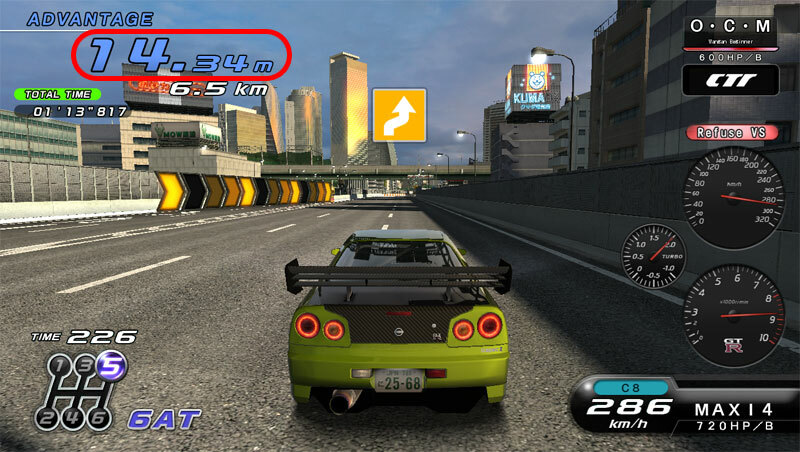 ・Try to defeat all the regions and dominate the roads! 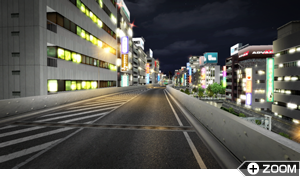 ・For each district you challenge, a ghost will be chosen for each level. Challenge the ghost that matches your own level. ・You can conquer a district by winning once against a ghost of your level or higher, or twice against an opponent of a lower level. 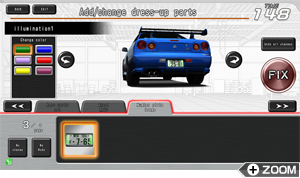 ・Just like a regular Online Ghost Versus Battle, you can fill your Dress-Up Gauge. Additionally, you can get a special sticker when you conquer all of the regions! 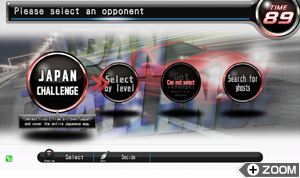 *For more details, please see the game explanation page on the “Japan Challenge”. 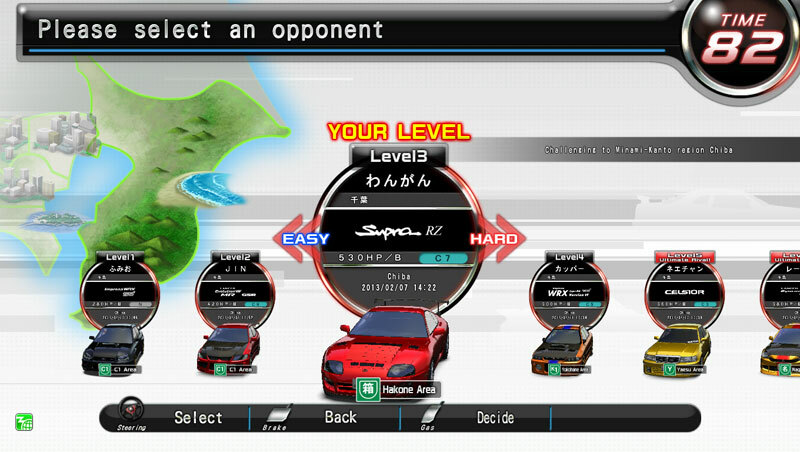 Also, your level will rise through advancing in the Japan Challenge. Please try it if you are interested in raising your level! *Regarding levels, please see the related page, “Level and Title”. Who is the fastest? Limited time event! Online Champion Match! A limited time Online Ghost Versus Battle event will be held. All players will battle the same standard ghost (target). Try to put the greatest distance between you and the target. The ranking will be determined by that gap, and the player in first place when the event ends will be the champion. 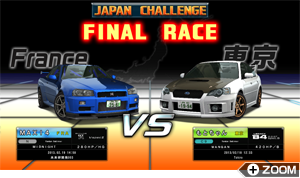 The competition will include “preliminaries” and “main races”. 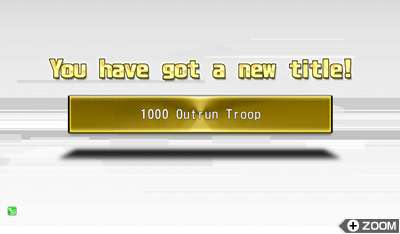 In the “preliminaries”, you can get a name plate (4 types) only available through this event from a mini-game after the race. 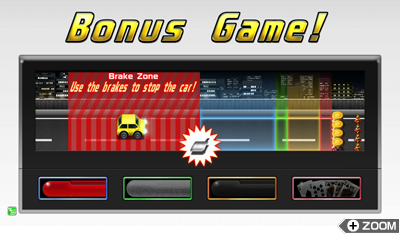 Hit the brakes at the right moment and stop in the area colored according to the prize! 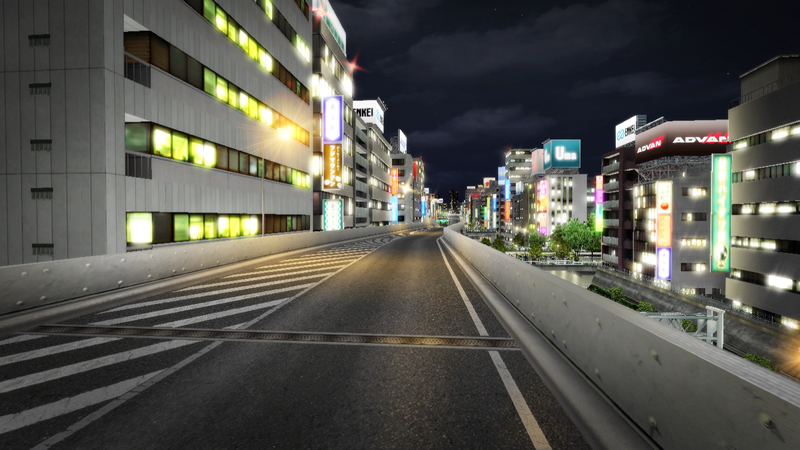 If you run a complete race in the preliminaries, you will be able to participate in the main races regardless of your place. In the “main races”, for each “tally” taken after a certain distance, the target will change with whoever is in first place (the tentative first place ghost) at that point. You can challenge as many times as you want. Try to become first in the nation against a target that keeps getting stronger! 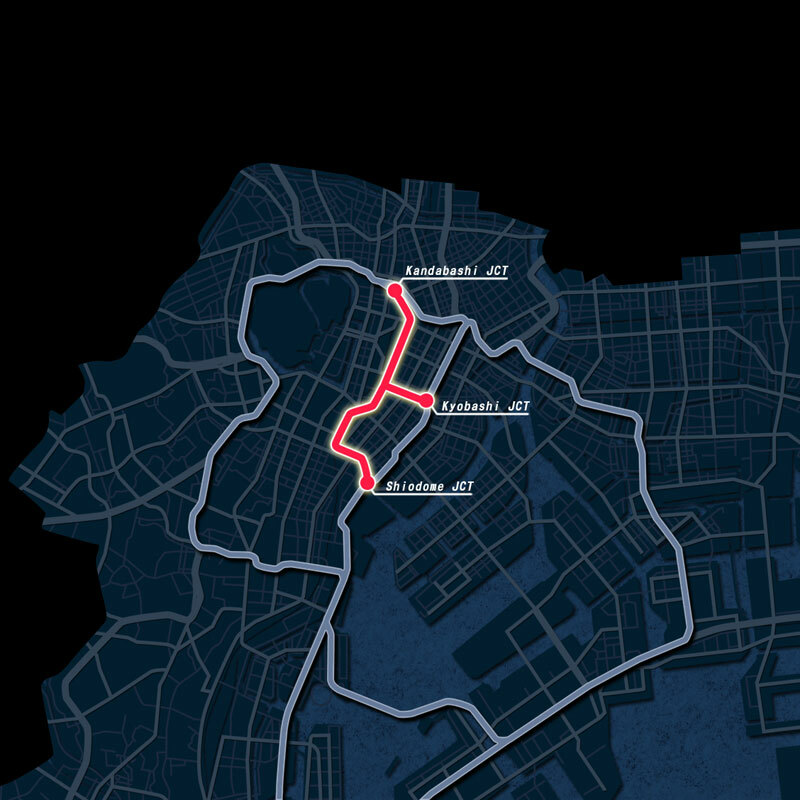 “Participation prizes” and “placing prizes” have been prepared for the main races. Infinite combinations! 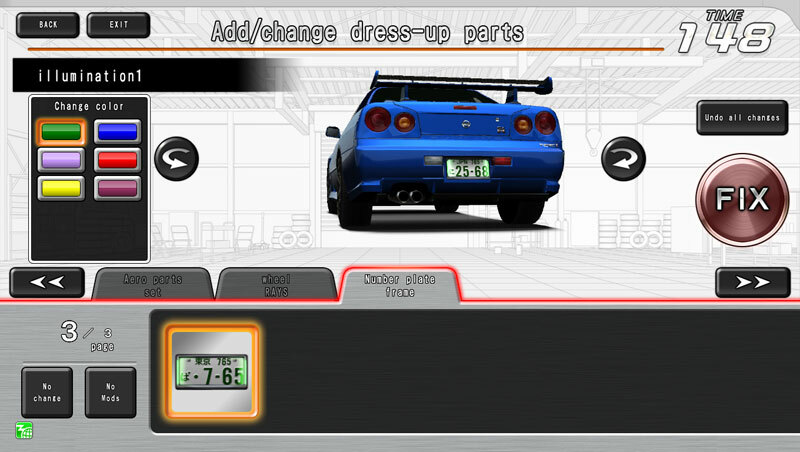 Dress-Up Parts added! 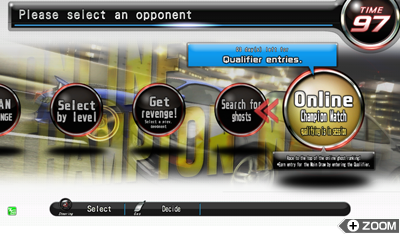 New parts to get from the Online Ghost Versus Battle Mode will be added! 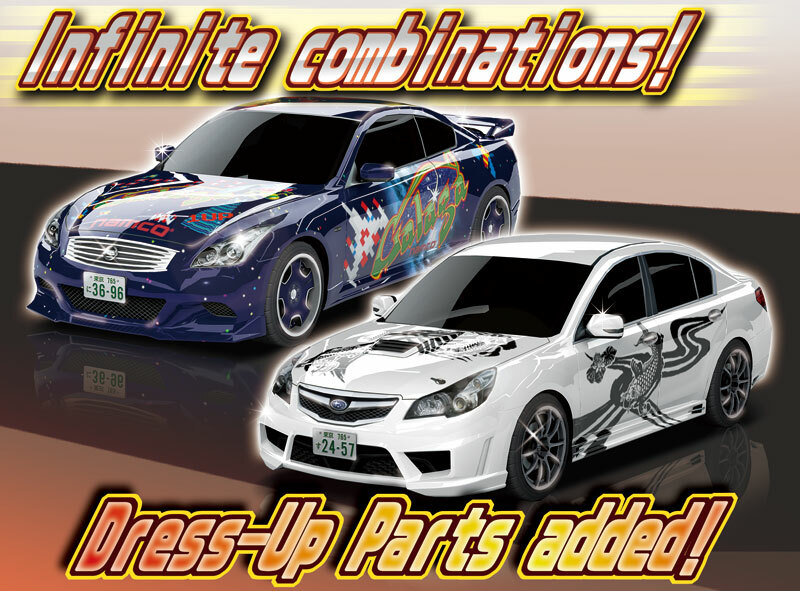 Perhaps there are a fair number of people saying, “I’ve already collected all the Dress-Up Parts!” This addition of new Dress-Up Parts is for you. This time 14 new parts will be added, and the number of possible combinations will increase even more than the number of new parts. 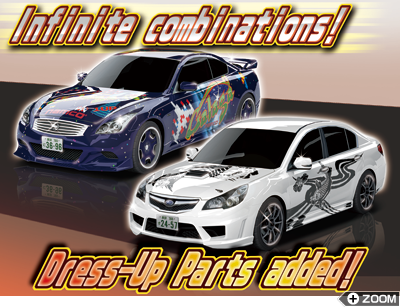 Find your own perfect style using the expanded options for Dress-Up!